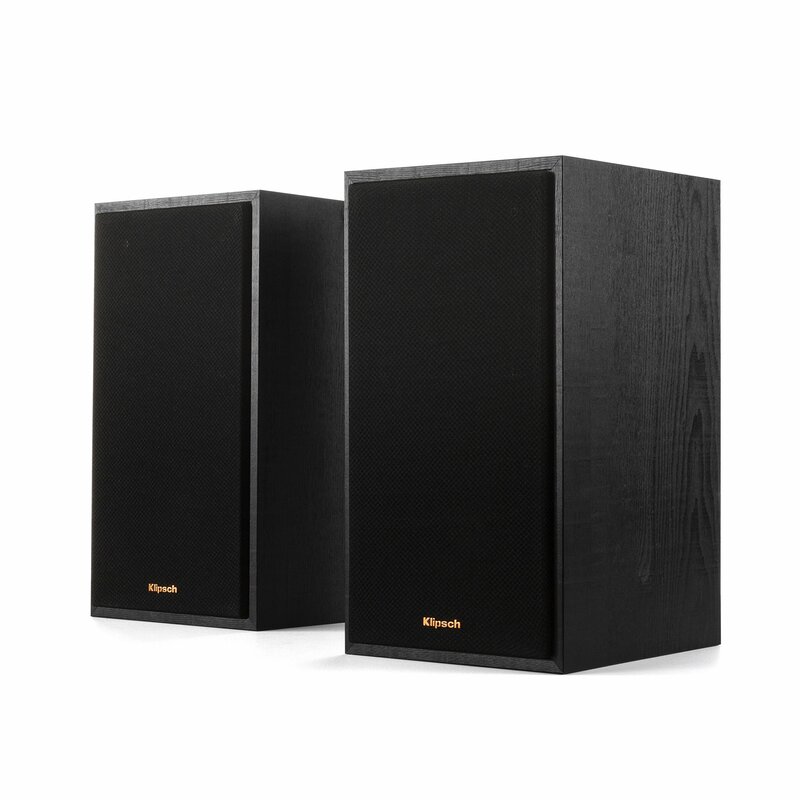 A truly powerful, small form-factor music monster packed with Klipsch acoustics with integrated power and Bluetooth wireless technology. With an integrated phono pre-amp, Bluetooth wireless technology, digital optical, analog RCA and USB inputs, your R-51PM is the best performing, most versatile monitor on the planet. As the human ear perceives frequencies differently with variations in output, the R-51PM will dynamically match the ear's ability to hear lower frequencies. 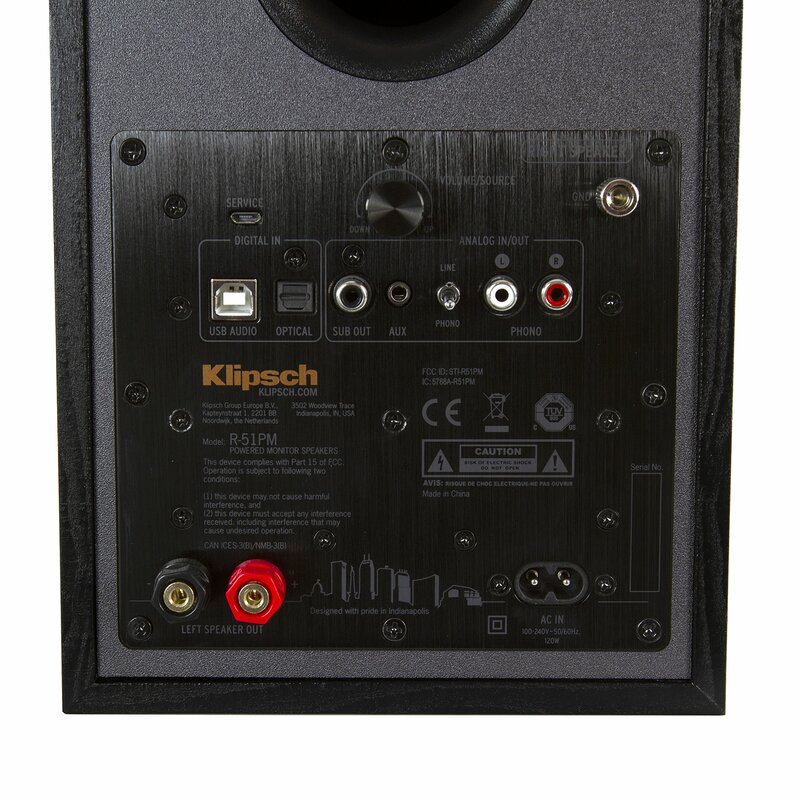 Typically, only available with audio/video receivers, dynamic volume is a first for Klipsch powered monitors. What you get is powerful bass whether the listening volume is low, cranked up or somewhere in between. 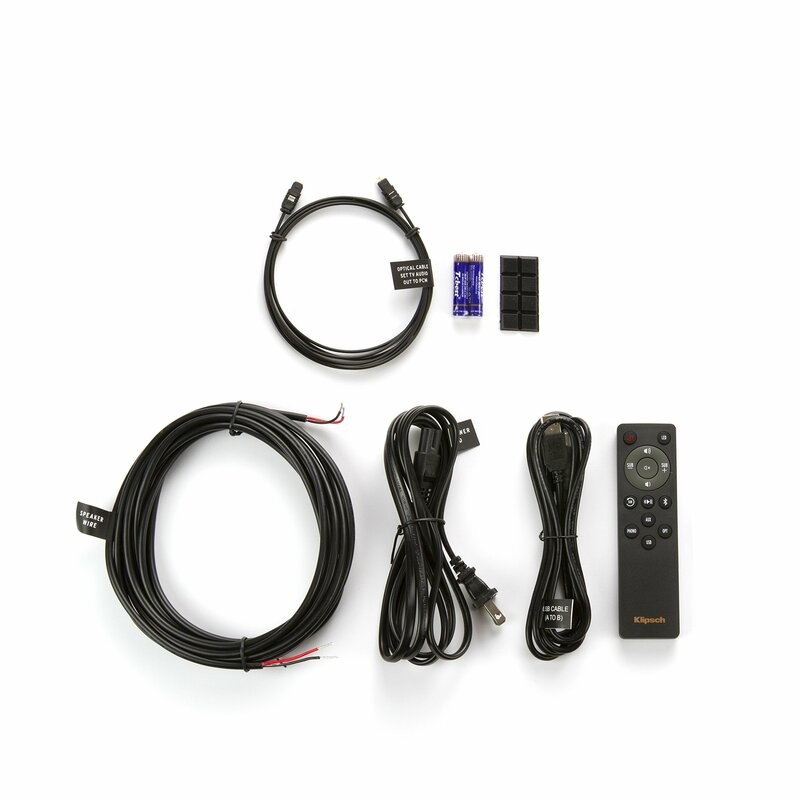 Forget the expense, clutter and hassle of an external A/V receiver. 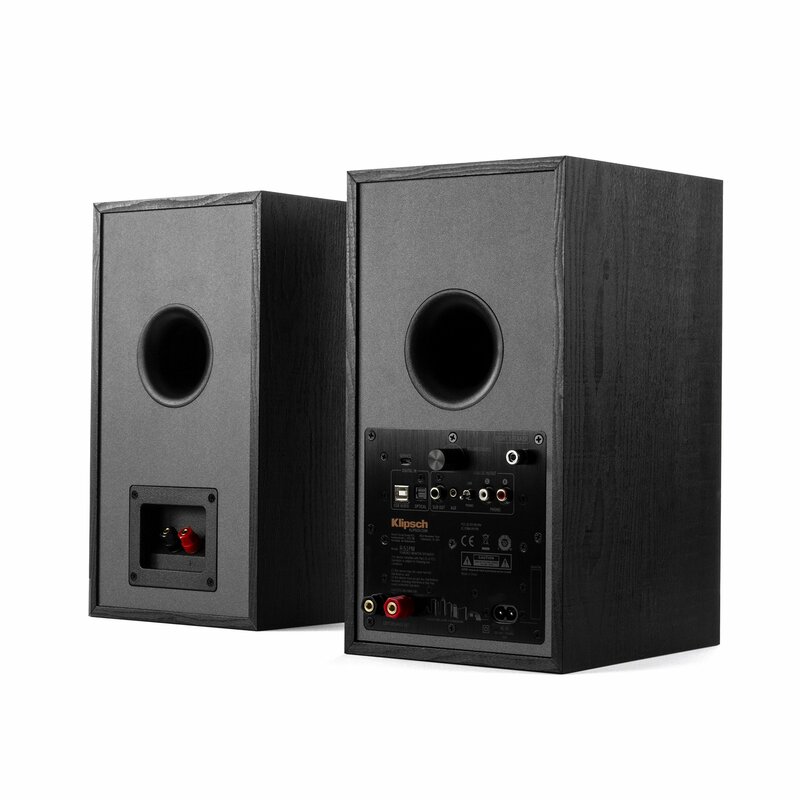 The R-51PM monitors incorporate individual ultra-low noise amplifiers custom designed to maximize system performance and eliminate the need for external amplification. Allows easy access to system features like dedicated source selection, track controls, and play/pause. 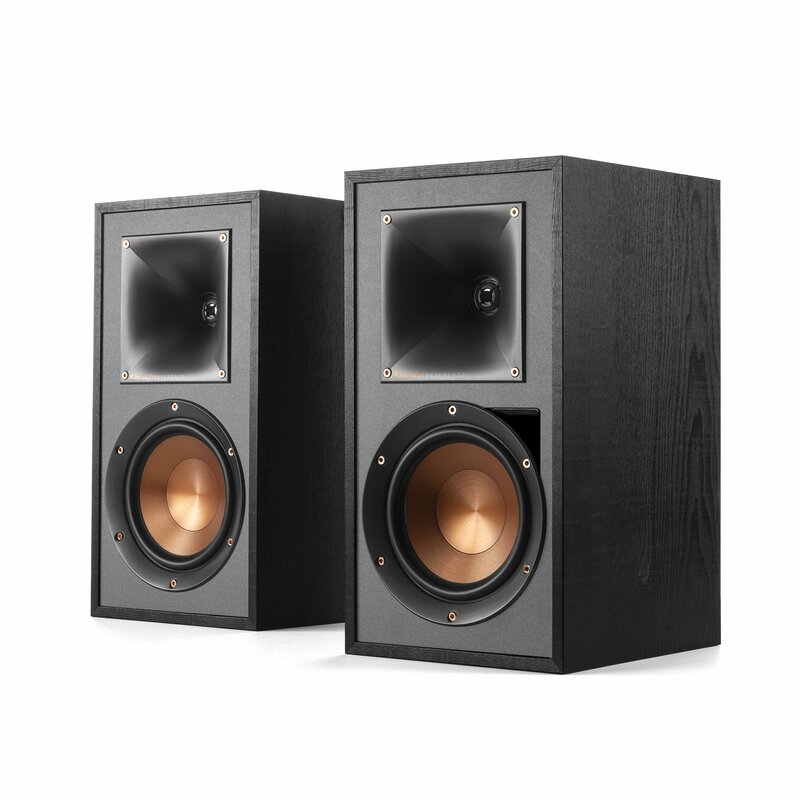 Add a subwoofer to enhance for even more bass.